I have such a fun treat for you today! I’ve gathered up some of my favorite Must Have OttLites for the sewing room and I can’t wait to show them to you! 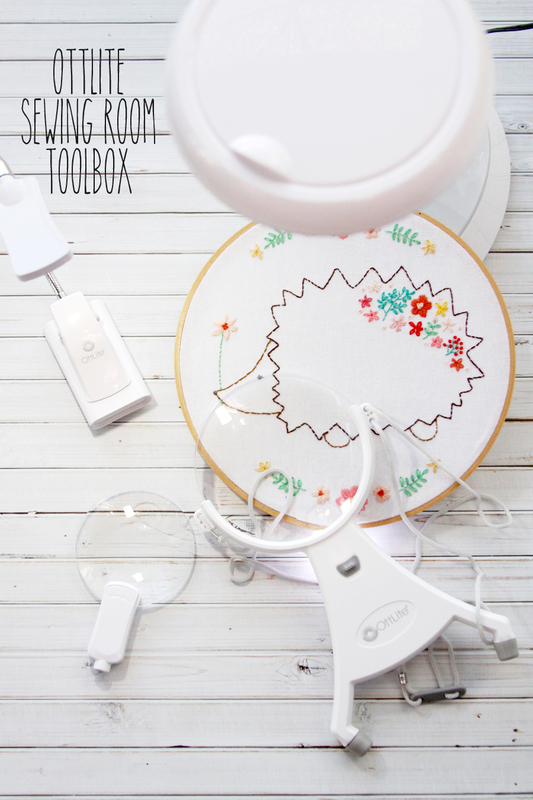 And not only that – I’ve partnered with OttLite and we’re having a huge giveaway for the OttLite Sewing Room Toolbox too! So let me show you these awesome tools! First up is the Space Saving Magnifying LED Lamp! This fun table lamp has an adjustable arm so you can point it right at your work area or sewing machine. It’s not a huge lamp either, so you don’t have to worry about it taking up a bunch of space! I like that it’s light and easy to move around so it works great as a table lamp for my sewing table, but I can also pull it over closer if I’m working on some hand sewing or embroidery. It has another cool feature though! The top of the lamp flips up and reveals a magnifying lens! 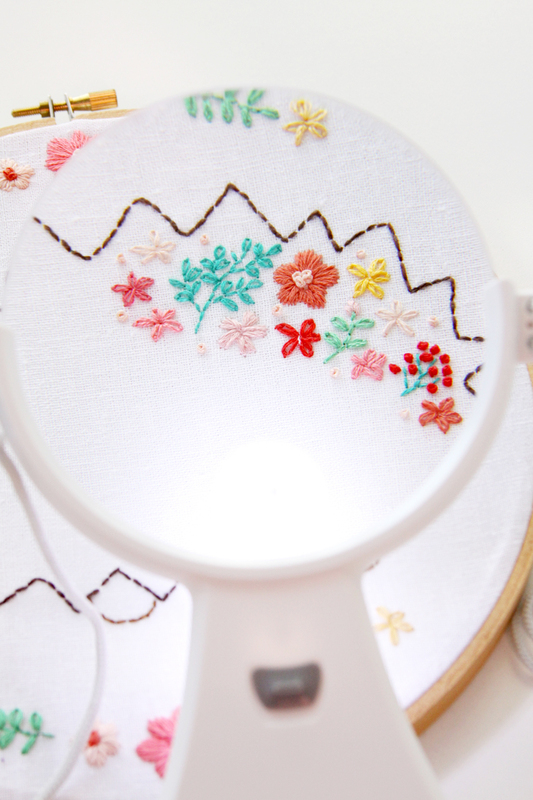 It’s so easy to adjust it to whatever you need – just a nice bright lamp that shows you the true colors of your fabrics and threads, or if you’re needing a closer look at your work, just flip up the top for the magnifier. The neck is really flexible too so you can adjust it at the base and the top of the light as well. My next favorite tool is the 2 in 1 LED Sewing Light! 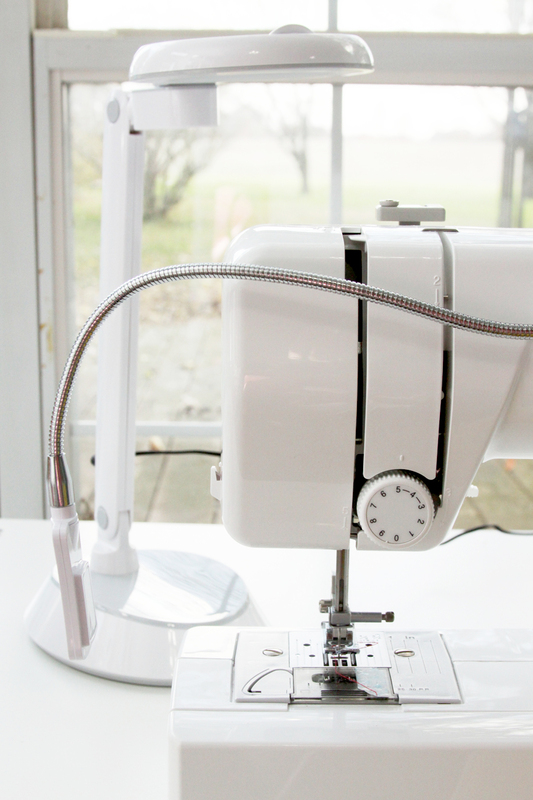 This light is a great extra light for your sewing machine but it does a lot more too. The light comes with a little command strip so you can stick it right to your machine, wherever you’d like a little more light. The light runs on batteries so you don’t have to worry about an extra cord. It has a nice bright LED on a flexible neck so you can adjust it to wherever you need it. It has a fabulous other option too! You can take the LED light out of the end and switch it out with a Magnifying Light! It’s super easy to do – you just change them out! No cords or anything to worry about. The light sits in a little base which is what you attach to your machine. You can easily slip the light out of the base, and then you can access the clip on portion! This makes the light super portable so you can take it to wherever you are working and clip it right to the table! The last part of my little OttLite toolbox is the Hands Free Magnifier! This cool light/magnifier combo comes with a strap so you can wear it around your neck and it will light up your work surface and make it so much easier to see. This light also runs on batteries so no cords to worry about here either! You also have the awesome OttLite bright white light with this so your colors are easy to see and look great! Aren’t these great?! I love that you can use them in so many different ways. These would all make fabulous gifts for your sewing friends too! Would love an ottlite , I never have enough light. I really need the sewing machine light the most. this is so well needed that it is unreal and to be able to get a chance to win is even better . thanks for the chance . Oh!!!! I love the Magnifier LED Lamp!!! It would be just perfect for these old eyes, lol!!! I would love to try the desk magnifier light! What a great idea! Good lighting is essential to good quilting! Really liking the space saving led desk lamp. That would really come in handy! Thanks for the.giveaway. The magnifying light looks amazing! I’m most excited for the hands free one. Thanks for the chance to win! What a fabulous give away. I love any Ottlite but would probably try out the Magnifier Desk Lamp first. Thanks so much for a chance to win. Love that the hands free magnifier has a light! These lights are all awesome tools. My favorite would be the magnifying LED lamp. I have a small Ott desk lamp that I use in my office now and it is well used! These task lights will be an amazing addition to anyone who does hand work, especially those of us who are getting up in years and need a little extra help with seeing well! Thank you for this opportunity! What wonderful products. These old eyes of mine could use a magnifier desk lamp. Thank you for showcasing these products that are new to me. I would love the magnifying LED lamp! I would love to win. I need more light when I sew! The desk lamp would be great. I’ve never had an OttLite but have been considering buying a floor lamp. I love all of these. These are Awesome. My husband just got me a little craft sewing machine, so I could use all this now to help me out. I would love the hands free magnifier. All of them are great though. Thanks for the information on these light magnifiers. I have needed one for years now. What a great give-away, thanks! The desk lamp and sewing machine lights would really be helpful as it is getting harder to see. I really want to try the sewing machine light as my vision isn’t the best after four eye surgeries! 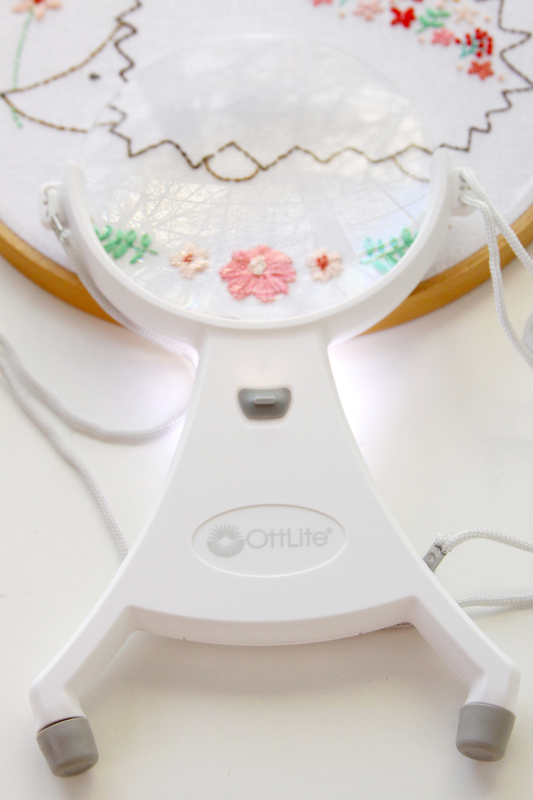 I am so excited to try the Ott 2 in 1 sewing machine light. Right now I sit with back to ceiling light and it’s really dark even with the little light on machine. The LED Magnifier Desk Lamp sounds great for my crafting. Love this light, one of he best I’ve seen! If I had to choose only one of them, it would be the 2 in 1 LED Sewing light!! But-it would certainly be nice to have them all!! I like the space saving lamp but I’d take any one of them because while I’ve never owned one myself I’ve heard awesome things from those who do. Love these lights and would be a great help to me while quilting!! Thank you for the chance to win!! I really like the toolbox. Most excited to try out the 4-inch Hands-Free LED Magnifier because it would come very handy since crochet a lot especially for the holidays. The two in one looks fabulous. I’ve never seen this before. :) Thanks for the chance. I think they are all so useful, sometimes I do need some magnification for hand work. The one that you can wear is nice! Yes, my vision isn’t what it once was as well. This would be so helpful on my ha d Embroidery. Thanks for the chance to win. I am excited to try out the little flexible light! Thanks for the chance! 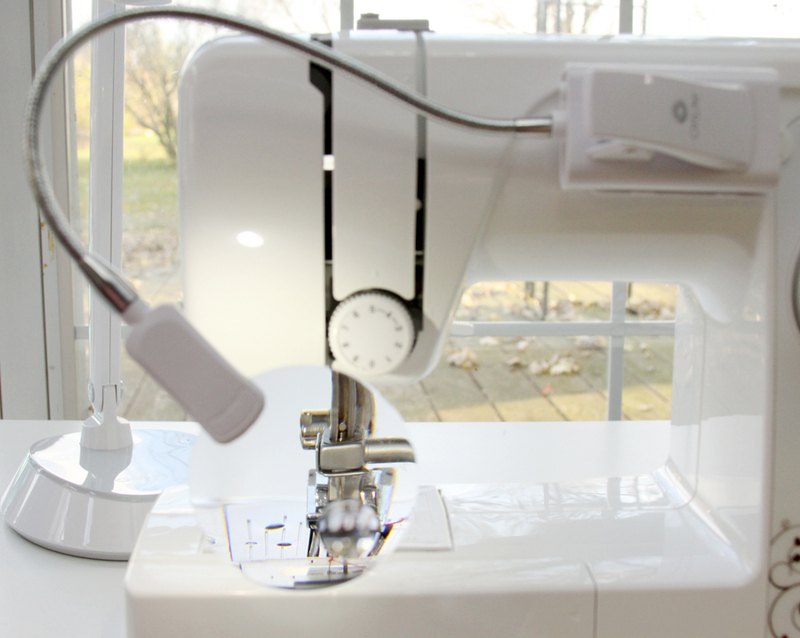 The 2-in-1 LED Sewing Machine Light is the one I’d look forward to the most. I never have nearly enough light while sewing. What a fantastic giveaway! I love ottlite products. The older I get, the more light I need to keep crafting! I’m really interested in the hands free light with the magnifier. I enjoyed seeing this post. I am in the process of moving my sewing machine to a different room and plan to get one of these lights. Seeing the choices you showed was a big help. Thanks for the chance to win one. I would get the most use out of the magnifying LED lamp. I definately love the idea of the Space saving LED magnifier desk lamp. I don’t have alot of room and the lamp I have really doesn’t give off that much light and since I’m addicted to English Paper Piecing I love the idea of having this lamp close with enough light to see my project but also the option to flip it and have the magnifier. For when I need to get those tiny stitches in place. Wow Bev, Thanks for offering this generous giveaway! I enjoy your detailed commentary. It is well thought out and illuminates lots of details that make the Ott light products even more attractive. I have an ancient Ott light that I sit under every morning during fall and winter for the full spectrum effects. It works great for SAD. Also the Ott lights are so important for my sewing room work. I could really use the magnifier for my grandma eyes. Thanks again, and happy sewing. 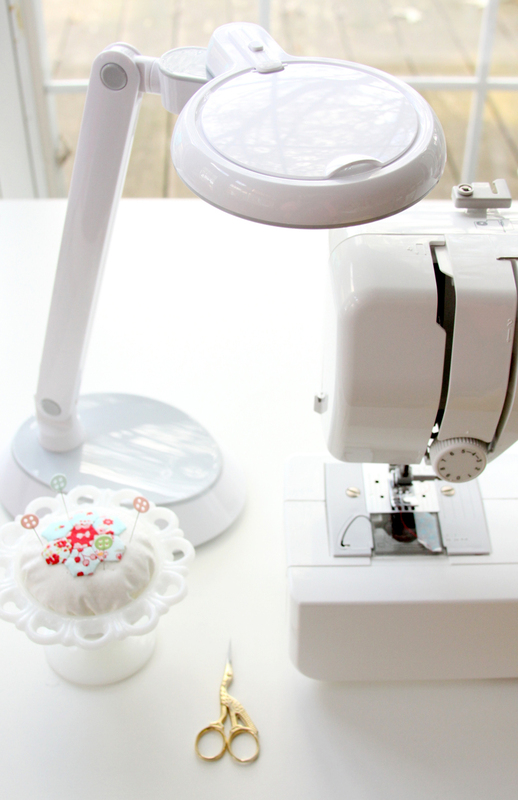 I would love to try the Sewing Machine Light. Thanks for the chance. I could really use the desk lamp. Not only would the lamp be great at the sewing machine, I love the idea of the magnifier as well. Very clever idea they have come up with. The light attachment for a sewing machine. I need that for sure! I would love to try a light to brighten my sewing machine area. I would lover to win! Thanks for the opportunity! I love their lights! I would enjoy the sewing machine Ottlite. Love my ott lite. The magnifying light would be perfect to do needlework. Thanks for the opportunity to win. The older I get the more light I need. The space saving lamp is fabulous! I want them all!! The magnifying light and the sewing machine attachment are my favorites. Thanks so much for this offering. hope I win. I read your posts and look at all your patterns and even make a few of them. I think the 4″ hands free LED Magnifier would be great. I would love to try out the Magnifier Desk Lamp! That one looks so cool and would be super helpful when sewing doll clothes and doing embroidery. Although it’s difficult to choose because I want them all, I would love to try the Space-saving LED Magnifier Desk Lamp. 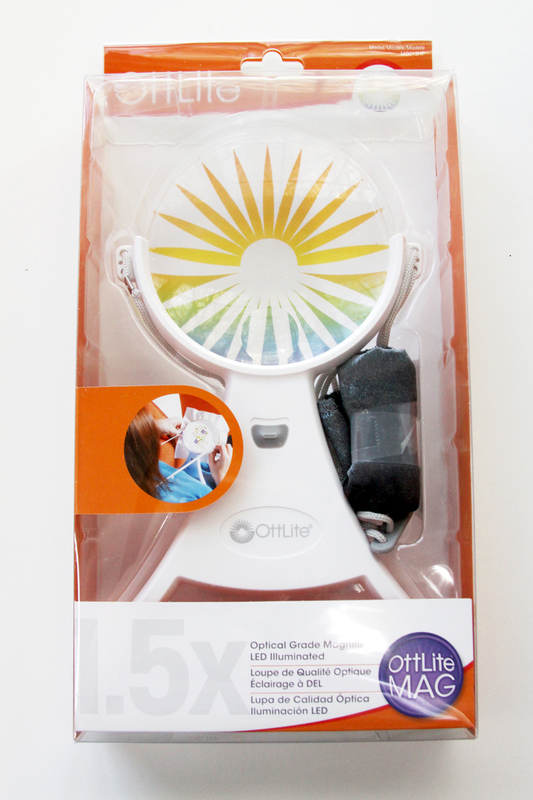 Thanks for the opportunity to learn about and win one of these new Ott lights! I would love the Space-Saving LED Magnifier Desk Lamp. The 2-in-one light would be so handy. Brilliant idea! The 2-in-1 LED Sewing Machine Light would be most helpful. I never have enough light when sewing. What a wonderful giveaway! Thank you for hosting! Thanks so much for offering this opportunity! I think the Space-saving LED Magnifier Desk Lamp would help me the most right now, but it is really hard to choose, I like them all. This is a great giveaway! I love the one ottlite I have, purchased over 20 years ago, and the older I get the more light (and magnification) I need! LOL!! I don’t “do” instagram or twitter, but I entered the other selections, so hopefully I have a chance! I love to embroider and these would be wonderful! Any OttLite is a great one. I have a very small one but need a larger one one for bigger projects. My sewing room has the worst lighting. I would be happy winning just one of these items! All of them but the 4-inch Hands-Free LED Magnifier in particular!!! I am so excited about the magnifying light!! I do a lot of hexies and EPP so that would just be wonderful to sit and handstich without all those overhead lights on!! I am most excited about the 4 inch led magnifier! It will stay in my cross-stitching bag! I always need more light on my sewing machine. Would be an awesome treat to get. The desk top light looks amazing! The hands free magnifier is my hope!! I have had retina surgery and want to keep sewing so badly!! This magnifier would be so wonderful and especially to win it! Thank you for considering me!! That’s a great trio! I could really use better lighting for my sewing machine, and for my embroidery work especially now that the time change has ended. Thanks for giving these away! I’d love to try the Space Saving Magnifying LED Lamp. My old eyes can sure use this. 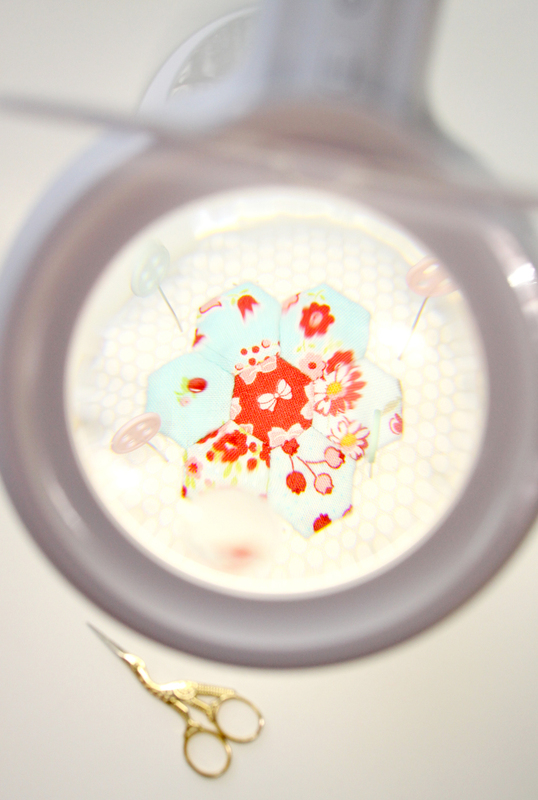 I would love the Hands Free Magnifier for hand embroidery and hand appliqué! I would love the Space-saving LED Magnifier Desk Lamp. My sewing room isn’t well lit & my eyes don’t work as well as when I was younger. Great give-away. Thank you. I think the sewing machine light would be amazing! I have trouble with close work by machine or hand. I have a regular magnifying glass handy always. And light! I never have enough on the sewing machine. Wow, these lights would solve those problems. Thanks so much for the great giveaway! I’ve always been interested in the bright white “daylight” that Ottlite lamps are known for, but have never been able to see one at work in real life. I think all three designs are very useful, but I really love the idea of the handy hands-free magnifier that hangs around your neck :) As the days get shorter, I’d love to be able to stretch out my stitching hours! I need the 2 in 1 sewing machine light. 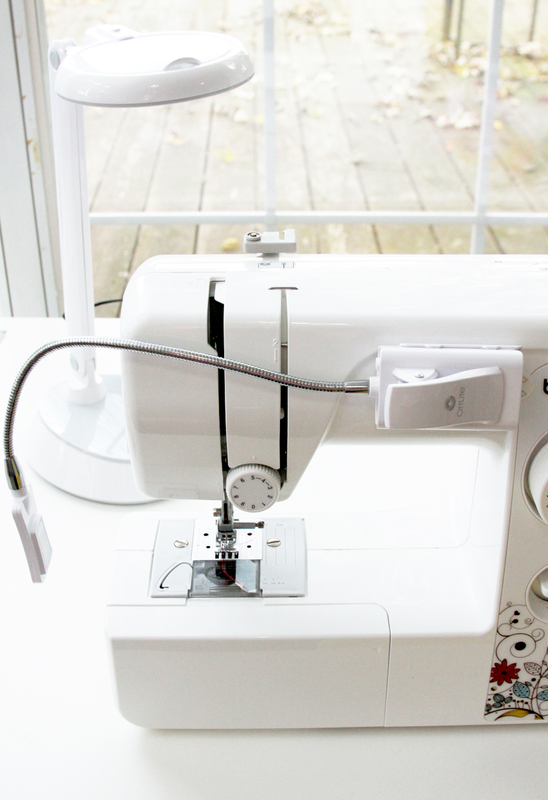 It’s portability is perfect to use moving between various machines in a sewing project! I would love to try the hands-free magnifier. It looks amazing! The hands free magnifier could be really be most helpful for me. What a great little thing! They are all wonderful lights. But the one that attaches to the machine looks the best. I would like the table top for my sewing machine. I don’t have enough light for m,y sewing. I have an Ott light on a stand that holds my craft supplies and I love it. I’d love the magnifying led lamp! Thank you for the run down on these Ottlites. Love Ottlite. I would like the sewing machine lite the most! Thanks for the opportunity to win this. The Space-Saving LED Magnifier Desk Lamp. All of the items in your post would be great for aging eyes. Thank you and OTT for a chance to win this amazing giveaway! I would love to try the 2 in 1 LED sewing light. You should have seen me trying to hem my husbands pants yesterday .. i absolutely need one .. great sewing tool !! I would be excited to try them all!!!!! What a great prize! I would love to win this Ott light as the 70 year old eyes definitely need as much light as possible! I was just telling my family that the only thing I want for Christmas is an Ott light so I can do my projects that I love so much. Getting old is “no bueno” for someone who enjoys stitching and other needle work! 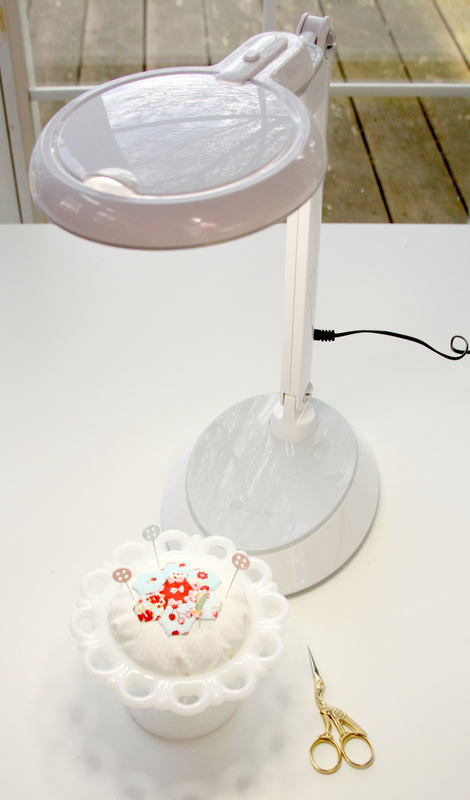 I would love to have the LED Magnifying light – but they are all so versatile – would love to own them all! I’m excited for all three lights, especially the Space-Saving LED Magnifier Desk Lamp. I love my OttLite lamps, but don’t have these wonderful lights. They are so useful and versatile! Let’s see if I am lucky enough to win them. Love this giveaway! Thanks for the chance to enter. P.S. I love the LED sewing light. I like them all but that sewing light looks amazing! The 4″ LED magnifying light! Wow! What a great set of tools! 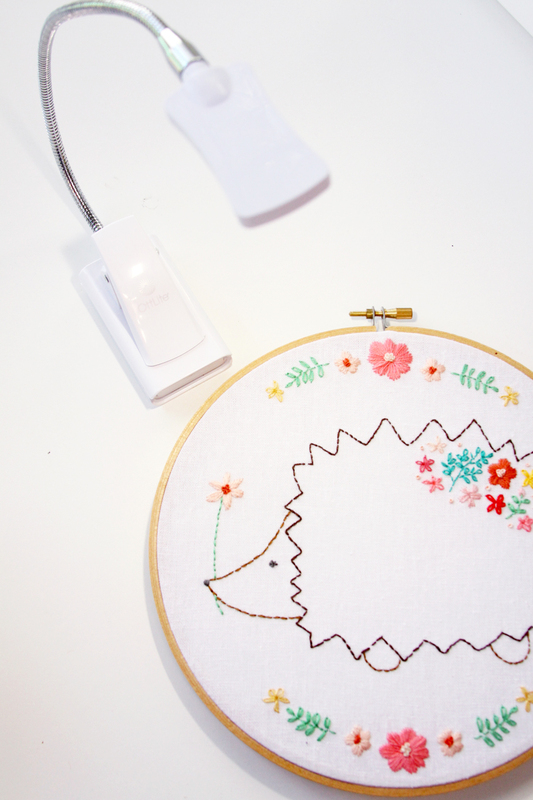 I think the hands free magnifier is my favorite, but the sewing machine light is a close second! I like the magnifying LED lamp. The desk lamp looks the most useful for me. Good light always helps out failing vision. There’s nothing worse than being in a bright room only to have a shadow fall over your work. I would love to try the hands free one. So convenient! Thanks for running such a fun and useful giveaway! Oh, I’d love to try the desk lamp. My eyes just aren’t what they used to be!! I would love to try all of these products, but really like the idea of an additional sewing machine light. The light on my machine just isn’t bright enough! Ott lights are so Fabulous! I would use it for more than stitching…. I would be most interested in the light with the magnifying glass. My vision has been an issue my whole life. And I love to sew. But they all could be amazing in my creative space! I want to try them all! Anything with a magnifier would be a bonus, and I could definitely use a sewing machine light. 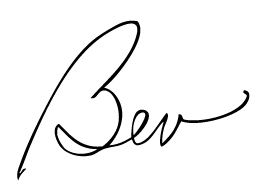 Like you, Bev, I have trouble with seeing, especially in bad lighting. Ottlight to the rescue! Oh how I would love either magnifying light!! I have to take off my glasses in order to see better close up…LOL!! This would really help out my new cross stitching business! Thanks for the giveaway! Love your blog. The hands free magnified light would be handy! I have a desk top model that I’ve had for ten years and I haven’t had to change the bulb in it yet! I would love the sewing machine light! The lighting in my sewing room isn’t great and the sewing machine bulb just isn’t bright enoug.. thank you for showing me the different lights they offer!! I’d buy the light and magnifying glass that I could wear around my neck or the sewing machine one! I most want the 2 in 1 LED light. Would be very useful for crafting as well as sewing. the natural light of an Ott light in my sewing room would be wonderful. I do not have enough light anywhere in my sewing room so I have lights up all around my sewing table and cutting table. The Magnifier LED Lamp!! My eyes aren’t what they used to be. I would love to try out the space saving desk light. I think it would be perfect for when I am sewing in the living room. I’m excited to try them all but i really really need to try the sewing light. I always feel like there isn’t enough light coming from the sewing machine! Oh, how I would love to win the Ott Lite kit. Now that dark has settled upon us (and I only have evenings to stitch) this would be so very helpful. What wonderful lights! I have no idea which to try first, but I believe it will be the hands free magnifier. It’ll make my embroidery just that much clearer to work on. I’d be setting up the others, too, though, for a well-lit workspace at last! I would try them all. love the tiny one so it can be angled in easier. you alwyas have such pretty and inspirational pics in your newsletters and posts. 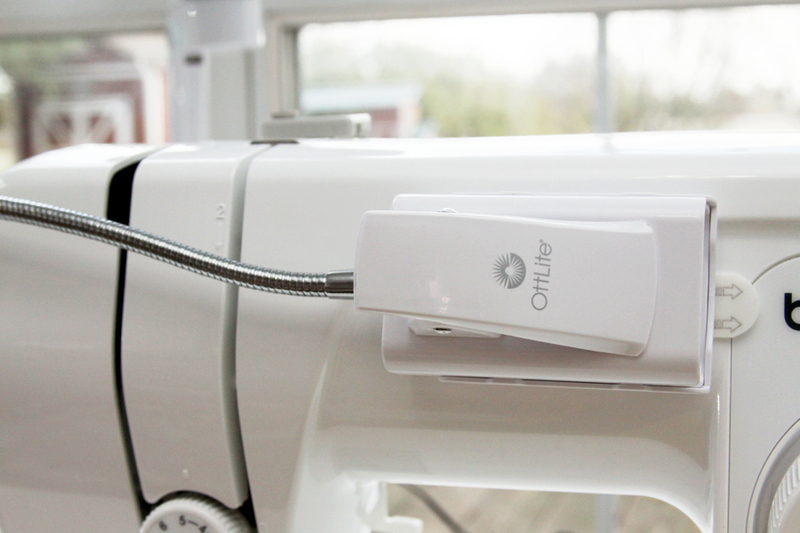 4-in-1 is very cool but most of OttLite products are great! Awesome!! Can definitely use this!! The machine light would be wonderful as the lighting in my sewing room leaves something to be desired and not easily modified. Their lights would be so cool to have especially with the magnifier. My eyes are getting so old and I’ve promised the kids lace bedspreads & tablecloths. I have terrible eyesight and I need as much light as I can get. Also magnifying. I love the LED magnification light…but all of them are wonderful! I would love to try any of them!! What a great giveaway. I need all the help I can get now that my eyes are not so young anymore! I love the hands-free light! Thank you for the chance to win. These look like they would make my life way easier! I’m most excited about them all, but the 4-inch Hands-Free LED Magnifier would really come in handy around here. I would LOVE to try the little stick-on light for my machine. I never feel like I can see in there well enough. Thank you Bev for the offer!!! The sewing machine light. Even if I don’t win I will most likely go get one. It looks like a must have! I love my other OttLite. I would love any of them, but the 2 in 1 sewing machine light would be awesome!